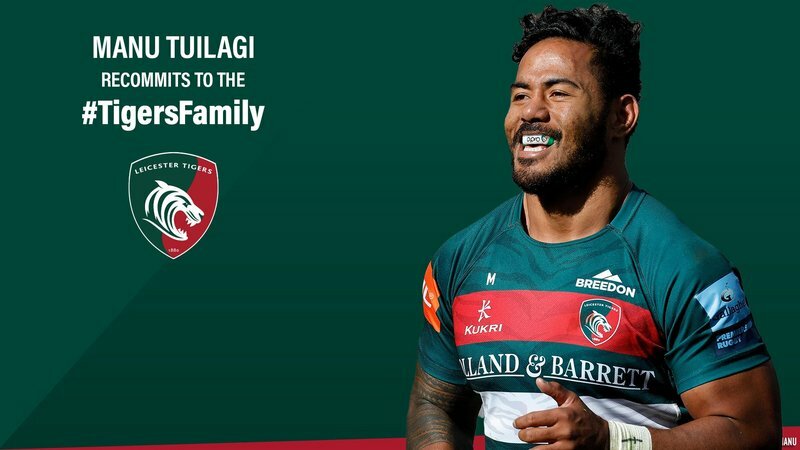 In his first interview with LTTV since it was confirmed that he has agreed a new deal to remain a Tigers player, Leicester and England star Manu Tuilagi opens up on his decision to recommit to the club and why he just couldn't walk away from the place he calls home and players he calls family. Simply put, Manu Tuilagi is over the moon. 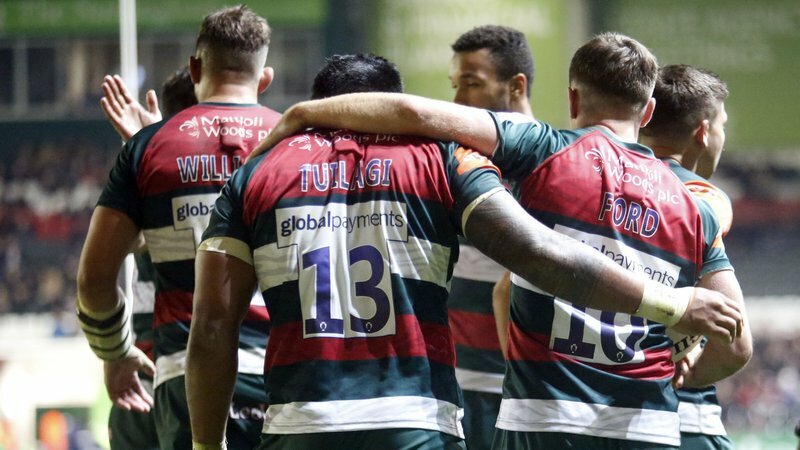 After months of the rugby world playing guessing games on whether or not the Tigers Academy graduate would accept a big-money offer to depart Leicester, Tuilagi put an end to the speculation by recommitting to the club and - as he told LTTV this week after returning from international duty - he's "very happy" to remain in Oadby. "I'm very happy ... I'm over the moon," said Tuilagi. "It was obviously a tough decision for me ... when it came down to it, I wanted to stay. "I'm glad I'm staying, you can't beat living in Oadby!" The 27 year old also opened up on the role his former team-mate and now head coach, Geordan Murphy, as well as the prospect of continuing to run out at Welford Road in the red, white and green of Tigers. "We've got something special with Geordie leading the charge," he said. "I remember my first time [at Welford Road] watching my brothers play, so for me to have the opportunity to do that is an honour." Tuilagi, who was a shining light for England through this season's Six Nations, also didn't shy away from the fact the opportunity to continue to play for his country helped in keeping him in Leicester. "I really enjoyed being back in the England squad, it's a good bunch of the lads," Tuilagi said. The international centre also believes that the current crop of players, under Murphy's guidance, are more than capable of lifting Leicester back up the table to where it belongs - starting on Friday night against Northampton at Welford Road. "I want the club to be successful and get back to where it should be ... with the players that we have, we can do a lot better than where we are at the moment and I think we will," he said. "All the boys look forward to this game, it's the one you don't want to miss. "It's going to be massive, the atmosphere will be unbelievable as always. I can't wait to get back out there." 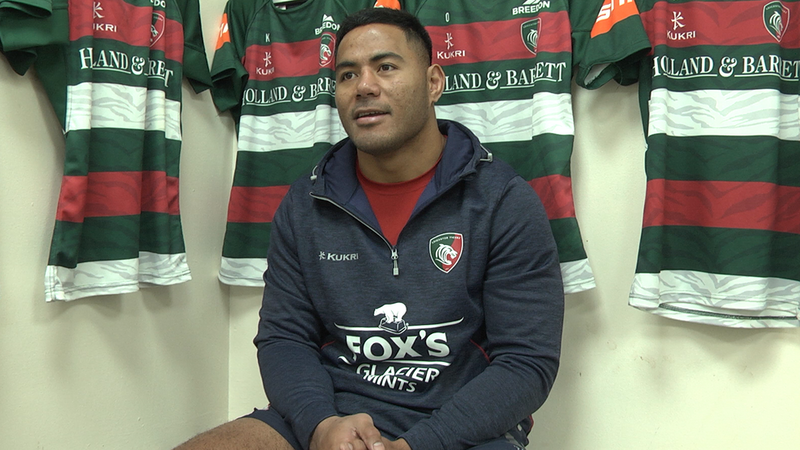 Watch the full interview with Manu Tuilagi below on LTTV.